What Is The Costliest IRA Mistake You Can Make During Divorce? Unfortunately, mistakes made with retirement funds and IRA distributions are not uncommon, even when experienced divorce attorneys are involved. What many people do not realize is that there are only two ways to transfer IRA assets without tax consequences, and this does not include taking a distribution from the IRA and transferring those funds to a checking account, a common mistake that can result in people, years later, finding themselves stuck in tax court. 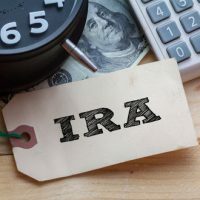 There are two ways to make a tax-free transfer of IRA assets during a divorce proceeding: change the name of the IRA to the ex who is receiving it, or directly transfer your IRA assets to the IRA that your ex owns. Below, we discuss the process in greater detail. It is your divorce attorney’s job not just to draft and review the divorce decree, but also to assist you in actually transferring any IRA funds to comply with the decree. Your attorney can also assist you in ensuring that the divorce decree is specific enough regarding how and when assets are split, as well as who is paying any fees and how. The date in particular is crucial, as some IRA assets fluctuate in value. Any mistakes made during this process can be costly, and sometimes unfixable. The custodian then moves the funds from the IRA to the ex’s IRA via a trustee-to-trustee transfer. If this process is followed, there is no reporting to the IRA; Forms 1099-R and 5498 are not required because technically it is a transfer and not a distribution, and there are no consequences to the IRA owner or the ex who receives the IRA assets. We can’t tell you how many couples end up incorrectly conveying IRA assets to their ex, even if the divorce order specifically states that the IRA transfer must be done “directly” in a “non-taxable transaction” to an IRA in the ex’s name. If an attorney does not ensure that the order is followed to a T, couples can, instead, make the mistake of making withdrawals and assuming they are non-taxable because they were due to a divorce. If you are contemplating a divorce, ensure that financially-devastating mistakes are not made that could come back to haunt you. Contact our Florida divorce attorneys at the Arwani Law Firm today to schedule a consultation and find out how we can help.